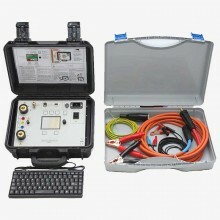 Includes: 3m 35mm² output cables, 3m sense leads, Mains lead, T&R DMO 200 User manual, USB keyboard, 2GB USB memory key and Lead case. 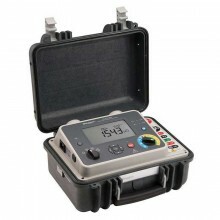 The T&R DMO200 is a high current micro-ohmmeter suitable for measuring very low resistances in a wide range of applications. 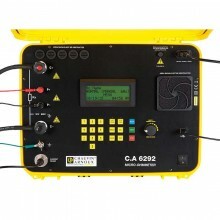 The unit is equally suited to commissioning, maintenance, and production line environments. 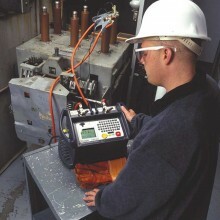 Contact resistances in circuit breakers, switch panels, isolators, and busbar joints are all easily and safely measured. 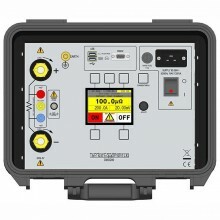 Resistances down to 0.1 can be measured at 200A and up to 5at 1A. 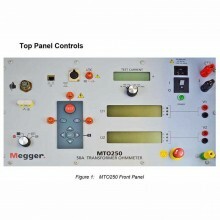 The DMO200 has pre-settable output current and electronic current control. Resistance is measured using the four wire method to remove the effect of the lead resistances. 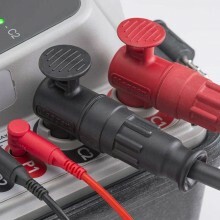 Current is injected using a pair of high current leads and the voltage drop across the resistance to be measured is picked up with sense connections. 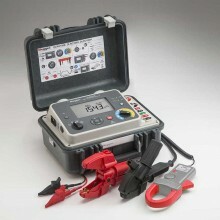 In addition, an optional current clamp may be connected to monitor any current lost to parallel connection paths (such as the earth current when testing large circuit breakers with safety earths connected to both sides of the breaker). 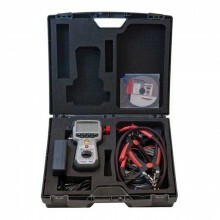 The DMO200 is a high current micro-ohmmeter designed for the measurement of very low resistances. 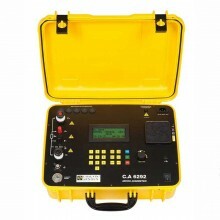 Resistances down to 0.1μΩ can be measured at 200A and up to 5Ω at 1A. 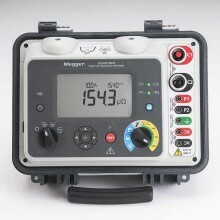 The DMO200 has pre-settable output current and electronic current control. 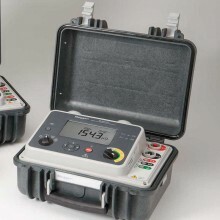 The unit has an easy to read liquid crystal display that shows all values (A, V and Ω) and programmable buttons to store 3 custom test currents (set to 50A, 100A and 200A by default).The DMO200 must only be used on ‘dead’ systems (i.e. 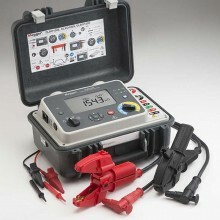 no externally supplied voltages are present on the test object. 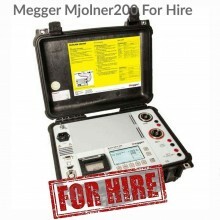 Do not connect the DMO200 to a live system. 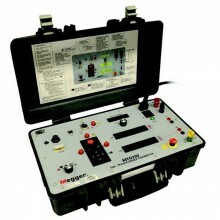 Always check that the device under test is isolated and earthed on at least one side before making any connections. 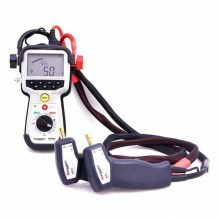 The DMO200 may be used with an optional DC current clamp to accurately measure resistances where there is an alternative current path in parallel with the main current path (e.g. testing circuit breaker contact resistances with both sides of the circuit breaker earthed). 1-200Adc test current with <2.5% ripple. mV, A, and m/μΩ displayed simultaneously. USB memory key for data storage. USB keyboard for comment entry. Pre-settable test current with three buttons to store user test currents. 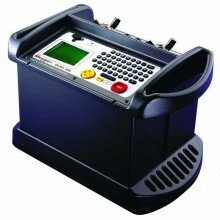 Supplied with 3m output lead set. 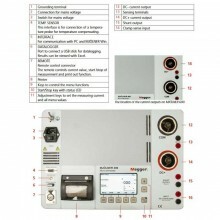 Optional current clamp to allows testing of objects with both sides earthed. 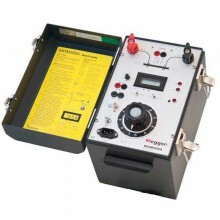 Maximum output voltage 5.0 V dc. Full load output voltage 5.0 V dc. 200A 15 min on/15 min off. 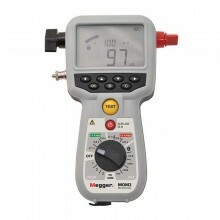 Maximum measurement voltage 5 V dc. 0 – 9.999 mV. 0.001 mV. ±0.5% of reading ±5 digits. 10.00 – 99.99 mV. 0.01 mV. ±0.5% of reading ±5 digits. 100.0 – 999.9 mV. 0.1 mV. ±0.5% of reading ±5 digits. 1.000 – 5.000 V. 0.001 V. ±0.5% of reading ±5 digits. Operating temperature 0°C to 45° C.
Storage temperature -20°C to 60° C.
Dimensions 360 x 290 x 165 mm. T&R DMO200 warranty 1 year. 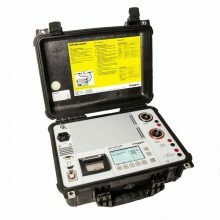 PDF Specifications of the T&R DMO200 high current micro-ohmmeter.